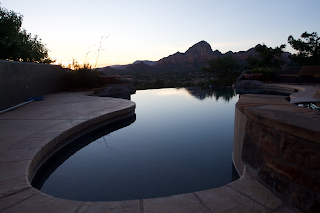 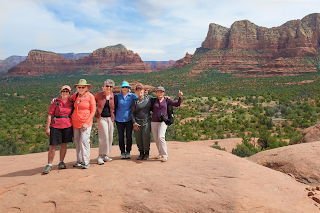 Back in the U.S.A.: We're in Sedona, Arizona!! 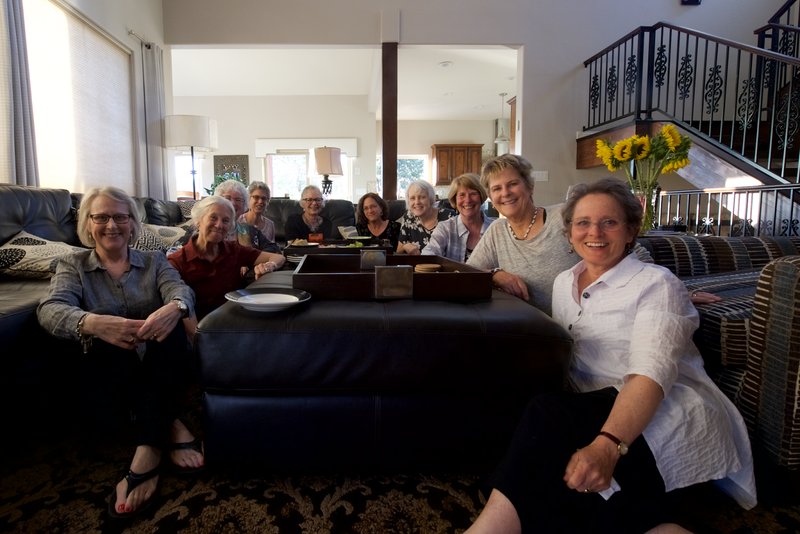 From left: Karen KK Kalergis, Martha Peter, Debra Abbott, Lynda Moore, Bev Catlin, Maryanne Bing Rowe, Kathy Cox, Read Phillips and yours truly. 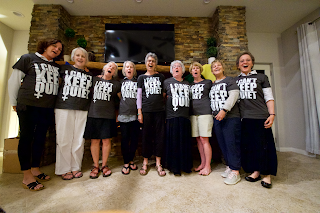 We are wearing our protest shirts courtesy of Debra. In our living room and entertaining the wonderful Helen Delaney who is back in the back center.